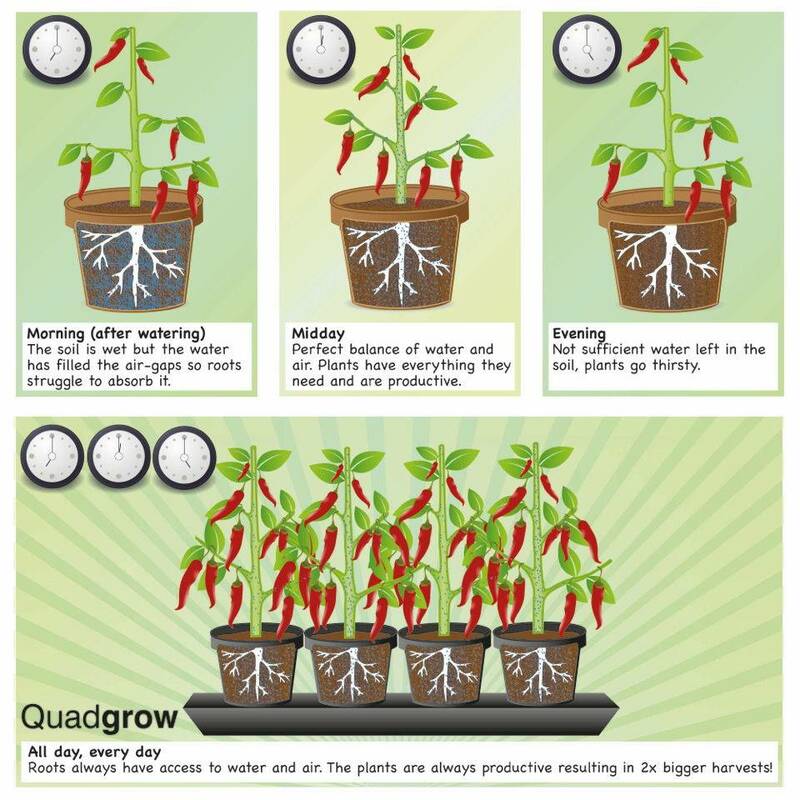 The 130cm long by 24cm wide Quadgrow growing system is so easy to set-up and use - simply fill the SmartReservoir and the FeederMats in the pots pull water up to the roots when they need it. The plants have access to water whenever they need it so there is no risk of the common gardening problems of tomatoes or other vegetables splitting or of blossom end rot. The Quadgrow is a fantastic alternative to growing vegetables in growbags or pots, producing bigger harvests and even keeps plants watered for 10 days while you are on holiday. Ideal for tomatoes and all other plants usually grown in a grow bag (including beans, aubergines, peas and peppers).